458 SOCOM is one of those niche calibers that you really can’t appreciate until you get behind one and start shooting it. For me it’s probably not something I’d get much practical use out of right now but my dreams of moving back south one day live on. If I do, this hard hitting round makes for an ideal hog slayer as Lone Star Boars regularly demonstrates in their videos. 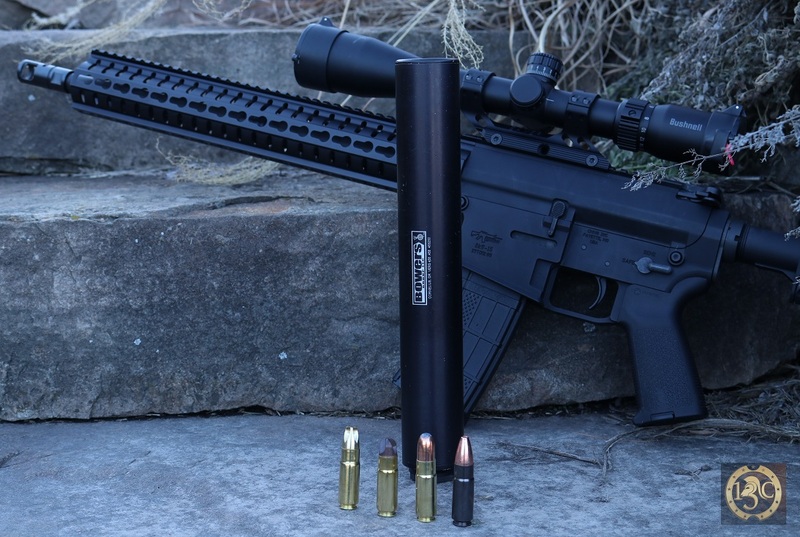 The .458 SOCOM round has a wide variety of chamberings from 140 grains all the way up to 500 grains and if you want the most of out your rifle and silencer the pair we just tested seems to fit that bill nicely. We’ll likely have more on the CMMG Anvil in a future review but it’s powerbolt technology and 9 position gas system means you will be able to dial your rifle in for whatever your ammunition choice is on any particular day. As with any big bore caliber volume is king and the VERS 458 from Bowers is a large can to handle all that gas. At 11.25″ long and 1 3/4″ in diameter this is no minimalist can but even with a SS baffle stack the 23oz~ (depending on adapter) isn’t too bad considering the size. 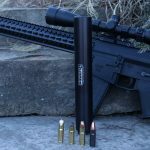 The VERS 458 is a purpose built can designed for the 458 SOCOM round and it does a good job taming the gas and sound, it also pulls double duty for other calibers from .460 and under (under 2650fps) with about two dozen different adapters. While it’s a big can for a pistol caliber, all the feedback I hear from friends and colleagues says that the VERS 458 does a fantastic job on a .45 subgun. You can find the full review of the Bowers VERS 458 on the CMMG Anvil MkW-15 at the 13C YouTube Channel .